Tables of Valour is a unique networking opportunity for 50 HR & Admin Heads of corporates to have an open discussion on Leadership, Culture & management techniques with 10 active-duty colonels and brigadiers of the army. He has the unique precedence in the family and hails to be the fourth generation in the services. Was commissioned in the year 1981 into the Army Service Corps and is an expert of supply chain management and logistics. Primarily the perishables. An avid sportsman and loves to undertake adventure sports, loves to do skydiving. He is hence a paratrooper for the much specialised operations in the Army. He has supported logistics during the Kargil war and the Op Parakram. Would like to mention that a major support operations base was established by him in war scenario within a record 28 hours. For his exclusive op support he was awarded with the Commendation Card. He has done the Higher Defence management course of the Indian Tri Services. He has been trained to assess human traits and has been posted to this prestigious institution where we have gathered today. Post his career in the services he has been the VP operations with two infrastructure companies. Presently he is doing a consultants role for the same. This Officer is from The 5th Gorkha Rifles(Frontier Force) CHINDITS Battalion. He has had a unique privilege of having six tenures spanning nearly 12 years in the Insurgency prone areas of J&K where he has served as a Company Commander, Brigade Major, Commanding Officer Rashtriya Rifles, Deputy Brigade Commander and finally Brigade Commander. He has also been the Director Manpower Planning and Dy DG Recruiting Directorate at Army HQ. He holds post graduate degrees in Defense Studies, Disaster Mitigation and Personnel Management. He is still serving and is posted on staff at HQ K&K Sub Area Bangalore. Maj Gen Jaideep Mittra was commissioned at a ripe age of 18 Yrs and 11 months, thus making him one of the youngest officers to be commissioned into the Army. The General Officer has had a very chequered career spanning nearly four decades in the Army. While in service he has held varied Command, Staff, Instructional, and Overseas assignments with distinction. As a young dynamic captain had the privilege of grooming young minds as future executives of the three services at the prestigious National Defence Academy. Was into supply chain management planning for Opertions at the brigade level in NE and with the IPKF. HR head for 2500 people in Army Service Corps and the Judge Advocate General Branch. As a Colonel commanded his Battalion in thick of the Insurgency in the Kashmir Valley. Has done every Regimental Course as a topper and has the rare distinction of being an Instructor at the Prestigious ASC Centre & College in every rank from Major to Major General where he was the Deputy Commandant & Chief Instructor as also the Officiating Commandant. A graduate of Defence Services Staff College, the General officer was selected as the first officer from the Services to go as Military Observer to the United Nations as part of the United Nations Mission in Iran and Iraq (UNIIMOG) wherein he had the rare distinction of being the Team Leader and subsequently the Operations Officer of a Sector. As a Brigadier he was responsible for providing logistic support to over a Lakh and half troops in the Madhya Bharat Area and later in the Eastern Sector to cover troops deployed in Sikkim at altitudes of 18000 Feet. He was responsible for procurement of Oils, Lubricants and Greases for the entire Indian Army and Air Force during his tenure in the Army Head Quarters. A qualified assessor of human personality, the General has had the privilege of being the President of a Selection Board and later the President and the Commandant of this very Selection Centre where we are present today. It is from here that he retired in end Dec 2013. Presently he is an Executive Director with Newbridge Business Centre and is on the Advisory Board of; Axiscades and Meadows Knowledge Services. He has the unique precedence in the family and hails to be the fourth generation in the services. Was commissioned in the year 1981 into the Army Service Corps and is an expert of supply chain management and logistics. Primarily the perishables.\n\n An avid sportsman and loves to undertake adventure sports, loves to do skydiving. 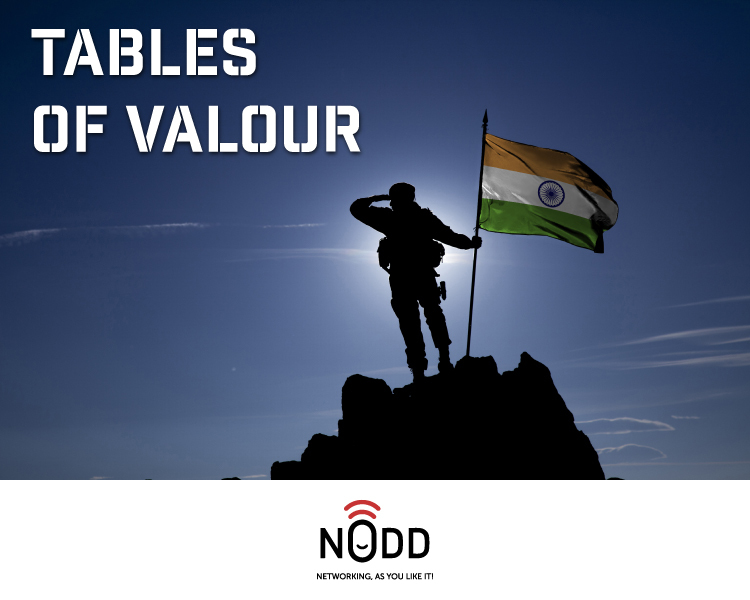 He is hence a paratrooper for the much specialised operations in the Army.\n\n He has supported logistics during the Kargil war and the Op Parakram. Would like to mention that a major support operations base was established by him in war scenario within a record 28 hours. For his exclusive op support he was awarded with the Commendation Card. He has done the Higher Defence management course of the Indian Tri Services.\n\n He has been trained to assess human traits and has been posted to this prestigious institution where we have gathered today.\n\n Post his career in the services he has been the VP operations with two infrastructure companies. Presently he is doing a consultants role for the same. This Officer is from The 5th Gorkha Rifles(Frontier Force) CHINDITS Battalion. \n\n He has had a unique privilege of having six tenures spanning nearly 12 years in the Insurgency prone areas of J&K where he has served as a Company Commander, Brigade Major, Commanding Officer Rashtriya Rifles, Deputy Brigade Commander and finally Brigade Commander.\n\n He has also been the Director Manpower Planning and Dy DG Recruiting Directorate at Army HQ.\n\n He holds post graduate degrees in Defense Studies, Disaster Mitigation and Personnel Management.\n\n He is still serving and is posted on staff at HQ K&K Sub Area Bangalore. Having joined Artillery Branch of Indian Army in 1981. I commanded a Surveillance and Target Acquisition Unit(surveillance role and hitting the target) and a Field Regiment(guns ranging to fire behind the enemy like Babur).\n\n He is an MBA from Symbiosis, PGDCA and an Alumni of IIM B having done his Executive Management Pgme. \n\n Been a CAO of a Mountain Division(about 10,000 troops) and COO of Artillery Centre where the young soldiers are recruited and trained for war.\n\n As a Brigadier(CEO) Commanded an Artillery Brigade in J&K Sector. Has been CIO for Info Systems. A Kargil War Veteran who is a recipient of Sena Medal for Gallantry and Army Commanders Commendation for Professional and Administrative Excellence.\n\n In the corporate he has been G.M Operations with Greentex Group. Thereafter a Vice President (H.R, Admin, H.S.E) with URC Constructions.\n\n He has the passion to dwell on all aspects of H.R, People Management and work for social causes in the field of Education, Spreading awareness regarding various Govt Schemes which the common man is not aware of. \n\n He desires to promote literacy and importance of Education and skill development in building the nation. Col Ramesh Menon is a veteran with career span of two decades. He has participated in multiple op environments including J&K and the IPKF. He has been into CI operations of NE and insurgency of Punjab. Combat in Kargil also has not gone untouched from him. \n\n He has had been with COGNIZANT for over a decade doing various appointments of real estate. Presently he is the Director corporate security with them.\n\n He is an MBA and is an avid blogger and is passionate about creative writing. A Dec 1981 commissioned infantry officer has handled operations in the UN Mission, IPKF and most of the High Altitude areas. He loves practical leadership.\n\n We will hear more from him during the panel discussion. Maj Gen Jaideep Mittra was commissioned at a ripe age of 18 Yrs and 11 months, thus making him one of the youngest officers to be commissioned into the Army. The General Officer has had a very chequered career spanning nearly four decades in the Army. \n\n While in service he has held varied Command, Staff, Instructional, and Overseas assignments with distinction. As a young dynamic captain had the privilege of grooming young minds as future executives of the three services at the prestigious National Defence Academy. Was into supply chain management planning for Opertions at the brigade level in NE and with the IPKF. HR head for 2500 people in Army Service Corps and the Judge Advocate General Branch. As a Colonel commanded his Battalion in thick of the Insurgency in the Kashmir Valley. \n\n Has done every Regimental Course as a topper and has the rare distinction of being an Instructor at the Prestigious ASC Centre & College in every rank from Major to Major General where he was the Deputy Commandant & Chief Instructor as also the Officiating Commandant. \n\n A graduate of Defence Services Staff College, the General officer was selected as the first officer from the Services to go as Military Observer to the United Nations as part of the United Nations Mission in Iran and Iraq (UNIIMOG) wherein he had the rare distinction of being the Team Leader and subsequently the Operations Officer of a Sector.\n\n As a Brigadier he was responsible for providing logistic support to over a Lakh and half troops in the Madhya Bharat Area and later in the Eastern Sector to cover troops deployed in Sikkim at altitudes of 18000 Feet. He was responsible for procurement of Oils, Lubricants and Greases for the entire Indian Army and Air Force during his tenure in the Army Head Quarters.\n\n A qualified assessor of human personality, the General has had the privilege of being the President of a Selection Board and later the President and the Commandant of this very Selection Centre where we are present today. It is from here that he retired in end Dec 2013.\n\n Presently he is an Executive Director with Newbridge Business Centre and is on the Advisory Board of; Axiscades and Meadows Knowledge Services.